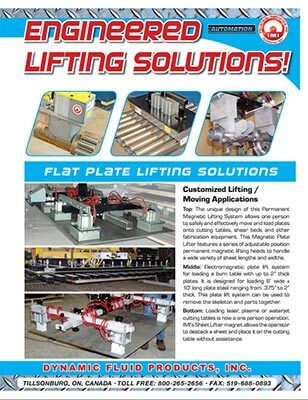 Do you require a solution for workholding, lifting, fixturing, conveying or magnetic separation? 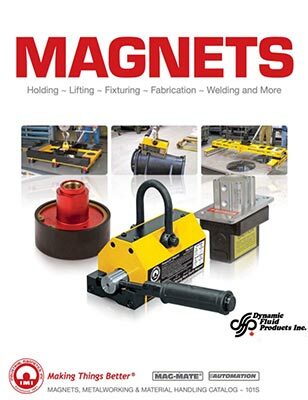 Dynamic Fluid Products Inc. (DFP) is an authorized manufacturer’s rep. for Industrial Magnetics Inc. (IMI). IMI’s expertise in custom engineered magnetic solutions (permanent and electromagnetic) coupled with their standard product offering is a perfect compliment to DFP’s Fluid Power expertise. 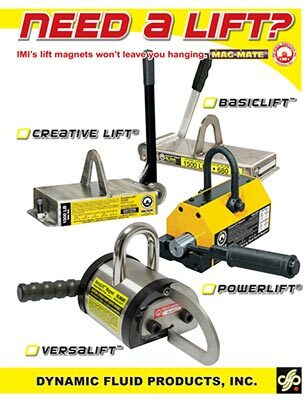 Mag-Mate offers hundreds of off-the-shelf assemblies for a variety of industry needs. Available with ceramic, rare-earth and electromagnetic magnets. 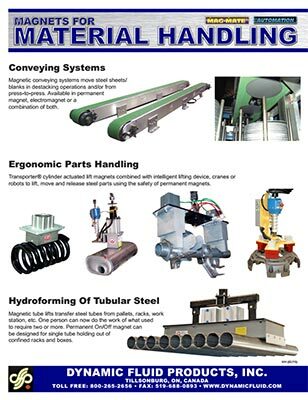 See the following catalogues for more information on the Industrial Magnetics (IMI) product line or call our toll free number.